← Jon Hamm’s Sausage Has Returned! After I buy a loaf of bread, a container of milk, and a stock of butter, do you want to come over to my house? My mom will bake us cookies and then we can color in our new coloring books with orange crayons! It will be SO much fun! I want to bathe is a sea of colors! 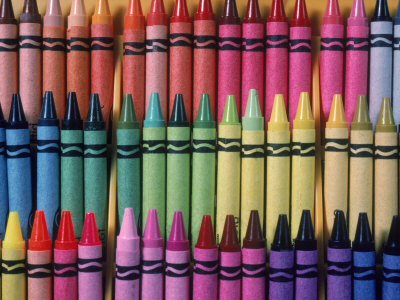 One thing I’m curious about, though, is how do they make such cool crayons. Gee, I’ll probably never find out unless they make a video about it on Sesame Street! Oh my! My prayers are answered! Ah, sweet memories! Who did NOT want to work in a factory after they saw this back in the day? Manufacturing plants should use this in all recruiting videos. It will work! 1 Response to Let’s Go Make Crayons! No WAY!!! Possibly the BEST Sesame Street segment EVER.